Nice kit, fun to build. I use it with a Fender J Bass - favorite tube is the 12AT7 - the selection of tubes provide a nice range of warmth/growl/texture. Build suggestion - the supplied mono 1/4 input jack was replaced with a Switchcraft version. The supplied jack, which seemed to be a different brand than the supplied stereo out jack, seated very hard and would distort. Check the operation of mounted jacks before proceeding to avoid changing it out after all the wiring is in place. Asked by Anonymous on December 16th, 2016. Please send an email to info@modkitsdiy.com. They will be able to help you. Asked by Anonymous on December 21st, 2016. Please contact us directly at: 480-296-0890 or custservice@amplifiedparts.com to help you with your order. If you need technical assistance, please send an email to info@modkitsdiy.com. Asked by Anonymous on March 8th, 2017. We currently do not offer an option without the tubes as these kits are pre-packaged. Asked by Anonymous on August 28th, 2018. The kit was designed to incorporate the toggle switch and unless you feel confident to mod the circuit, we would not suggest modifying the kit in any way. The toggle is meant to be installed on the top side of the pedal. If the enclosure does not have a pre drilled hole for the switch, please contact us to get you a new enclosure. Revoicing this pedal would be difficult and we would not be able to make suggestions or offer advice on modifying the MOD kits. 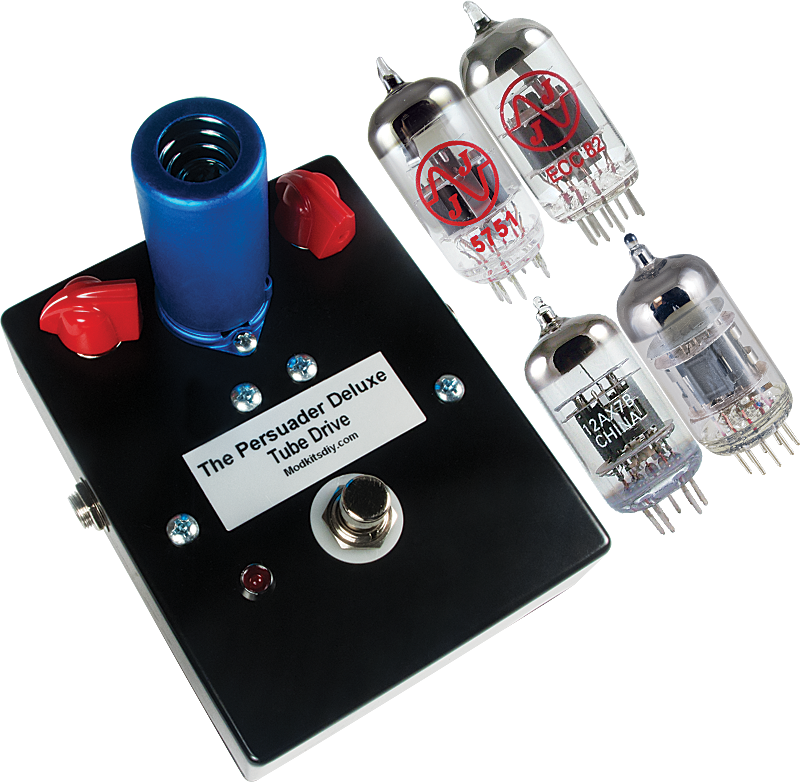 We have used this with bass and it sounded good, but it is designed to be used with guitar and works similarly to other guitar pedals used with a bass. Asked by Anonymous on December 4th, 2018. We do not have access to such information. You will need to contact Peavey direct.